Fred Sanders at Scriptorium Daily recently highlighted the top ten books that had influenced CS Lewis. This list was taken from an interview in 1962 that CS Lewis had with the Christian Century. CS Lewis was brought up in Ireland in a Christian family, but became an atheist when he was 15. However when he was 31 years old he gave his life to Jesus after a big struggle in his mind and heart which led him to say “I came into Christianity kicking and screaming.”. CS Lewis authored many classics books and is best know for The Chronicles of Narnia, but he also wrote many superb Christian books and essays some of which helped me become a Christian by drawing closer to Jesus. As Fred says, there is lot to be gained from reading through CS Lewis’ top list, even if some are a little dated. Many of the books were first published over one hundred years ago (and The Aeneid was written just before Jesus was born!) which means they are now free in the public domain. 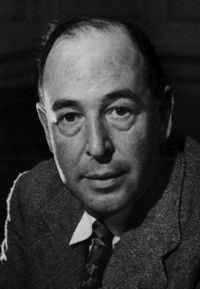 The definitive list that CS Lewis gave is below, with links to the places you can get free legal copies if available, or simply more information on the books if they are not yet available free.